Are you concerned about your private conversations at home or your office? 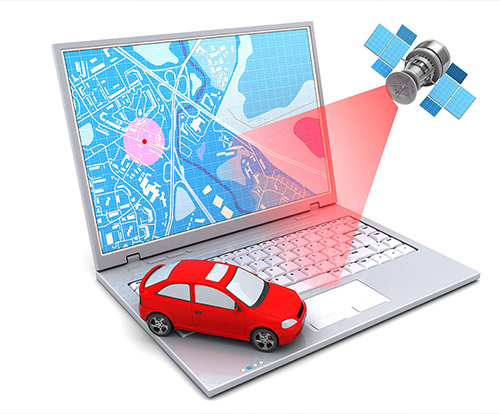 Are you worried about your vehicle being tracked by GPS. We provide professional bug sweep detection services to detect illicit devices or provide peace of mind. 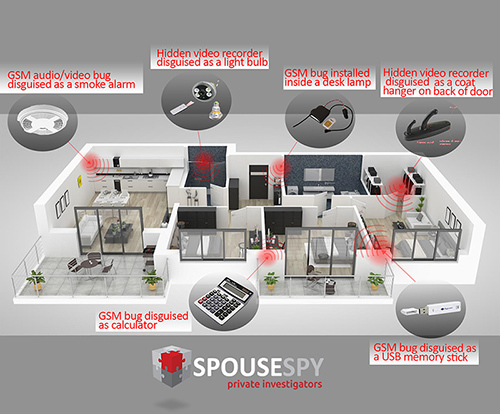 Spouse Spy provide professional electronic bug sweep detection services in Sydney and surrounding areas. We know how to detect hidden cameras & listening devices and vehicle GPS trackers. If you suspect a breach of privacy and are considering a bug sweep of your home or car then speak with professional who can detect illicit bugging devices. There has been a rise in the demand for privacy and security when it comes to corporate espionage and eavesdropping. This has in turn increased the need for individuals and businesses to engage professional electronic bug sweep and detection services. More and more private individuals in Sydney and surrounding areas of New South Wales are engaging the services of bug sweep detection services to protect their privacy in their own homes. Domestic eavesdropping has become quite common for individuals with high profiles, those with wealth or those that work with sensitive information. That doesn’t mean the ordinary person will not be the subject of eavesdropping. It is now common for those involved in neighbourly disputes and ongoing court battles to become targets. Quite often disgruntled ex-partners are becoming spy’s and perverts. Protect yourself with a residential bug sweep by professionals who can either detect illicit devices or give you peace of mind. Businesses are becoming more aware of threats associated with corporate espionage. Conducting corporate bug sweeps of boardrooms and areas where sensitive meetings are held can protect you from competitors and those wanting to know your next move. Protecting intellectual property and business intelligence is of high importance, and can be costly to the businesses if breached. DON’T WAIT until its too late. If you’re a business in Sydney and are concerned about information leaks, speak with us about conducting a corporate bug sweep of your premises. If you are concerned about your vehicle being tracked by a GPS tracking device, then speak to us about conducting a security sweep of your car for GPS trackers. GPS trackers are easily purchased online and can be fitted to a car without the need of gaining access to the inside of the vehicle. Our GPS car sweeps can be done at your home address or an area nearby. 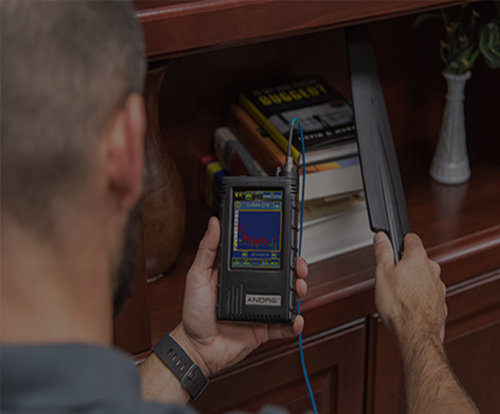 Our inspections are thorough and we use detection equipment that specifically detects GSM signals. It is illegal for someone to install or monitor your movements using a car GPS tracker without your consent. You can refer to the surveillance devices act for further information. 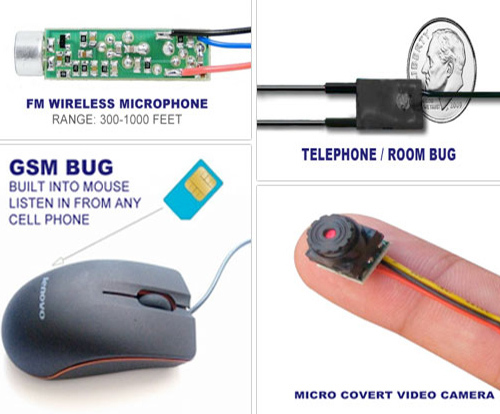 Have you wondered how to detect hidden cameras & listening devices? Detecting hidden bugs requires an understanding of the various types of bugs and transmitting methods that they use. We utilise equipment manufactured by the best in the technical surveillance counter measures industry. Our technicians are available 7 days a week and are ready for deployment. Private information has been leaked and is known by others. Volume fluctuations while using your phone. Clicking noises while using your phone. Suspicious vehicles parked outside your home or business for extended periods of time. A tradesman or other service provider may have visited you recently without you booking in the job. Wall sockets that may have been tampered with. 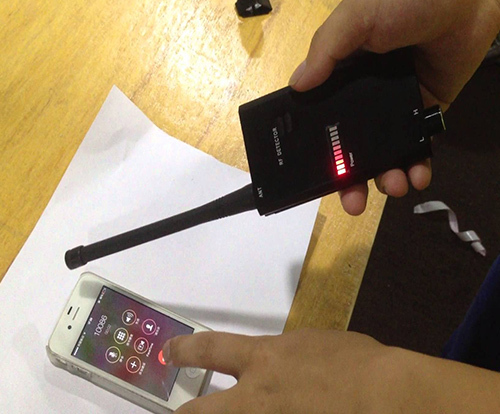 DO NOT discuss with anyone the fact that you suspect a listening device or hidden video camera is monitoring you. You may well alert the perpetrator. CALL US ASAP from a secure area that you are sure hasn’t been compromised. Use a secure phone that is safe to communicate with. DO NOT attempt to locate the listening device or hidden camera yourself. DO NOT talk about engaging a professional to conduct a bug sweep of the area. Be careful not to discuss anything of that nature in the area of concern. THINK carefully about whether you have recently had any people attend your home or business that may be a suspect. Buggers may pose as a tradesman, salesman or similar. Provide us with any information you think is important when we consult you. SUSPECT YOUR PREMISES IS COMPROMISED? Contact one of our highly trained investigators now for a free & confidential discussion.